Oral narrations are quick and easy and especially enjoyable when presented with novel ideas. 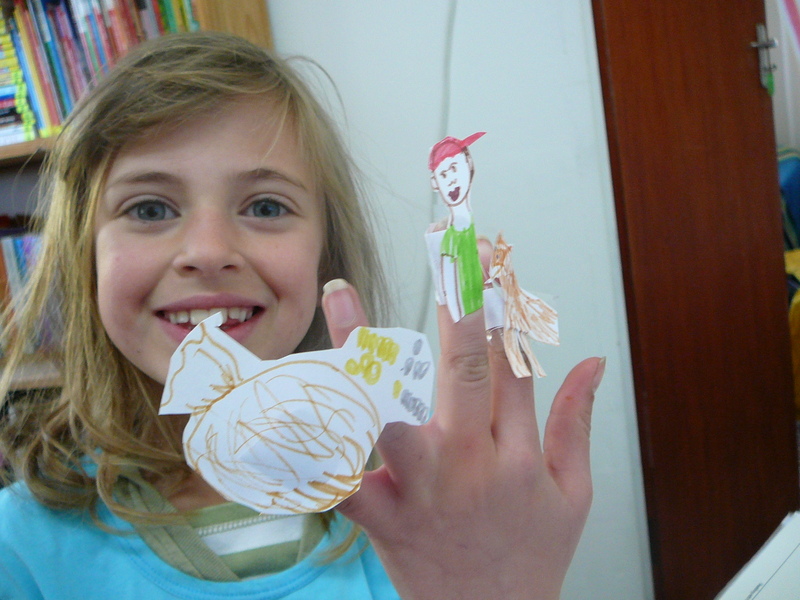 We create finger puppets and present plays and dialogues. It is especially good when practicing a second language. When children are self-conscious, puppets divert their attention from themselves and all eyes (including their own) are on the puppets. Young children really live themselves in the puppet show. It seems real to them. That is why finger puppets are suitable for last-minute plans – they are quick! I often ask who wants to make and act the main characters and then I share out all the secondary characters and important props. Here are our Afrikaans finger puppets for the New South African version of Jack and the Beanstalk! 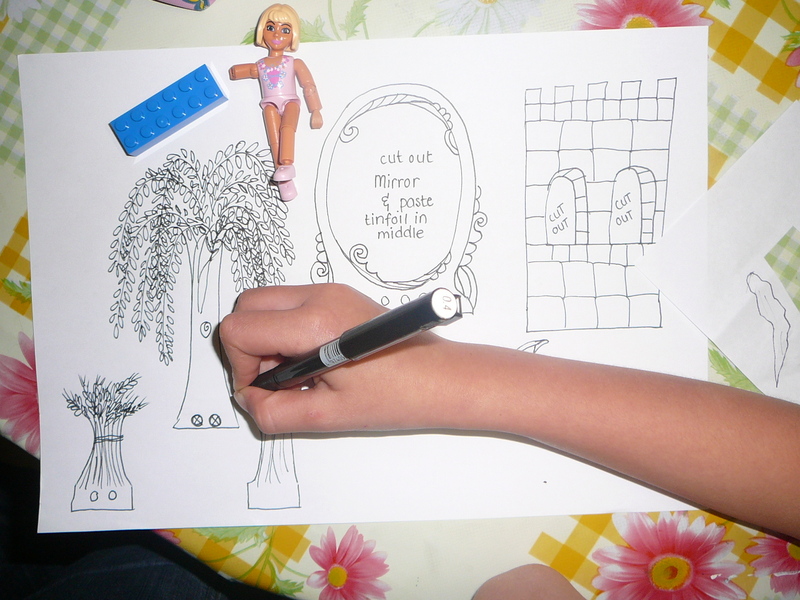 It took just 5 or so minutes to sketch, colour and cut out our pictures. You’ll notice we all drew our own puppets. You could make templates using pictures from the story books. We then attached the finger band with a strip of paper and cellotape. And with each of us using about 3 puppets, we acted out the story! Not that many on 1 hand! 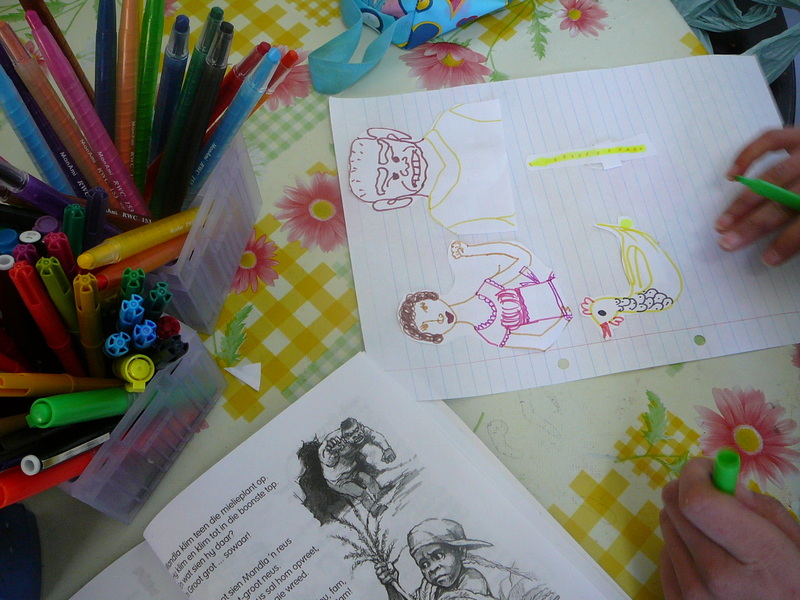 After we had acted out the story, the kids pasted the puppets on their notebook pages. When they want to re-use the finger puppets they paste an envelope on the page and insert the finger puppets in the pocket. They insert the envelope flap into the pocket to keep the pieces safely inside. Older children write out the dialogue. History – We re-enacted the appeals, revolutions, war councils and peace treaties. Crafty Crow shares excellent paper clips and corrugated cardboard puppets. 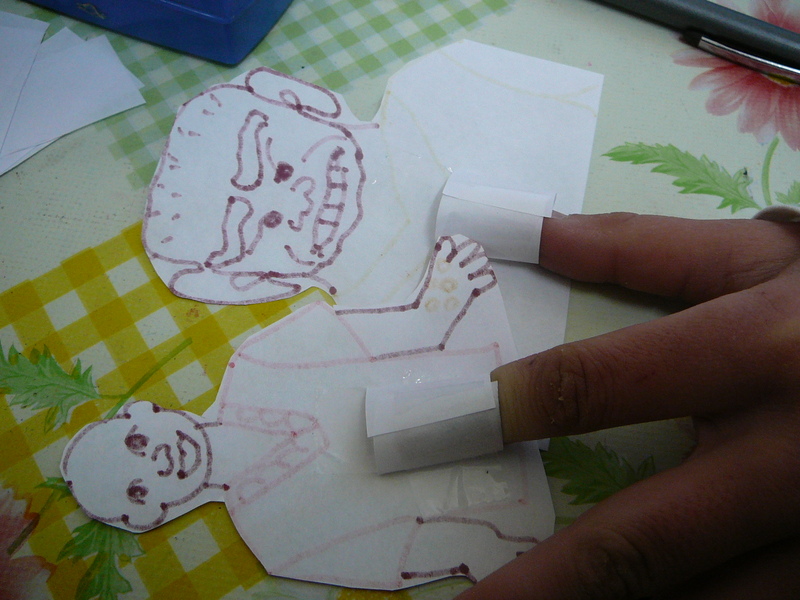 You can also make simple puppets by pasting pictures on ice-cream sticks. Store these in a flat box. 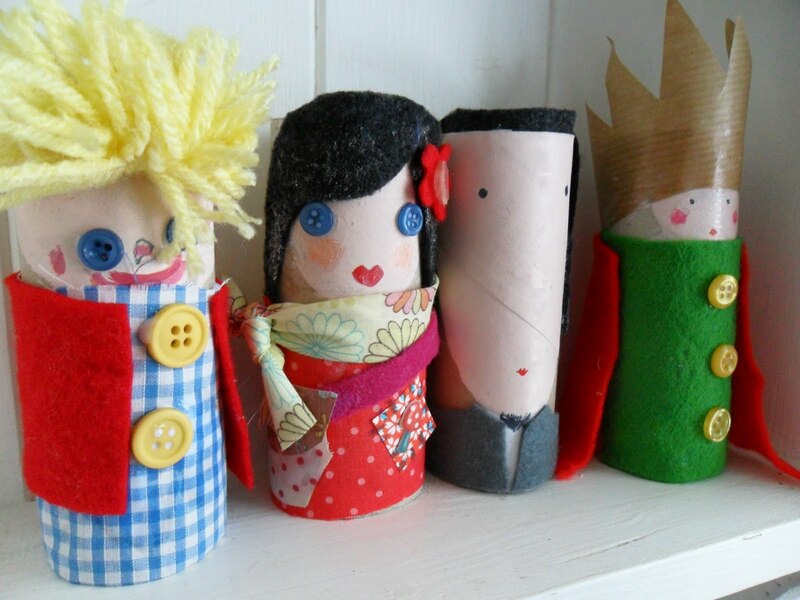 And Tea Wagon Tales shares their gorgeous toilet roll family. Try this! Have fun with your narrations! This post features on the South African Carnival of Homeschool Bloggers (SACH Bloggers) where South African home schoolers share experiences, ideas, philosophies and much more. You can join the carnival too by heading to the South African Carnival of Homeschool Bloggers sign up page. We hope you enjoy the carnival as much as we have! 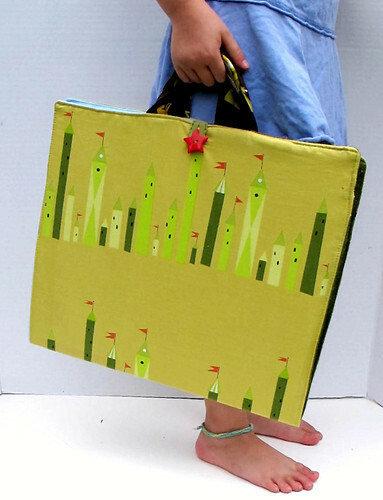 Hello Nadene — Thank you so much for visiting me at http://webloomhere.blogspot.com/ and linking to my rod puppet project — so glad you liked it… Lovely blog you have here, too! How fun is this?!! What a creative way to do narrations and keep it fresh. Thanks for sharing! Awesome ideas! Love these. And love that they are quick. I’ll try remember to do this in future! Now these are great ideas! I especially like the lego blocks stands. Thanks for sharing.